I love artichokes. I enjoy them marinated, in dip, in pasta, cooked or fresh, straight out of the can. They are a tasty treat. Wouldn’t it be a bigger treat if I grew them in my own back yard? There was one minor problem with this plan; artichokes do not natively grow in the South Central PA climate where I live. I was sure that with a little research I could figure something out. Did you know that the artichoke that people eat is part of the bud from a large thistle plant? How did they figure out that was edible? And what happened to the unfortunate souls that tried the other parts of the plant? If the scales and thorns were a problem on the way down, what about the following day? Ouch! However, I digress. These plants take up a lot of space – 4 to 5 feet tall, and just as large around. Fortunately, there is an unoccupied corner of the yard that will accommodate the thorny monster. When do I plant these for harvest in my area? The seed packet said 180 days –or- 360 days. I started them in January to hedge my bets. Why did the packet list two different maturity times? I dug further, so to speak, and discovered that in most cases the plants just won’t produce the first year. It is not until year number two that those globes of goodness will line my plate. That is just not an acceptable option. Why did the packet list 180 days? Apparently, you can fake out the seedling into thinking it survived its first winter. In turn, it will produce a harvest at the end of the first growing season. 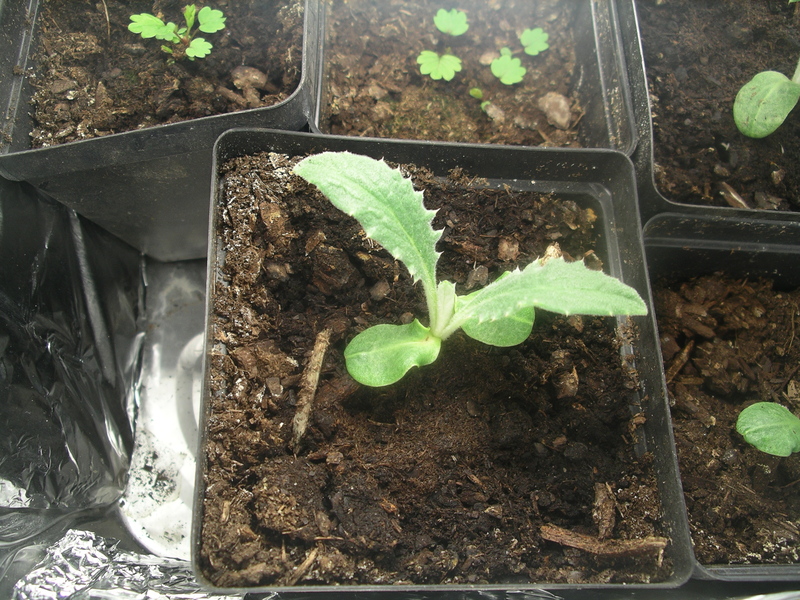 This neat trick is called vernalization. The plant needs a week or two of temperatures below 50 degrees for the strategy to work. Challenges, challenges, I sure love challenges. Mother Nature greeted my first attempt at chilling the plants with a week of outdoor temps in the 60s and 70s. When the weather doesn’t cooperate, Dave gets inventive. Artichoke plants, say hello to the Beer Fridge, um, the Beverage Fridge in the garage. I made a little room on the shelf and the plants were good to go. They got very chilly, and looked sad, but they survived. Only time (approximately 180 days) will tell if the effort was successful. I will keep you updated.